Summer Soiree – Sunday 21 August. Chamber music by French composers for Flute, Soprano & Piano. With Tomoko Iwashita, Flute with Daniela Bechly and Ian Ray. 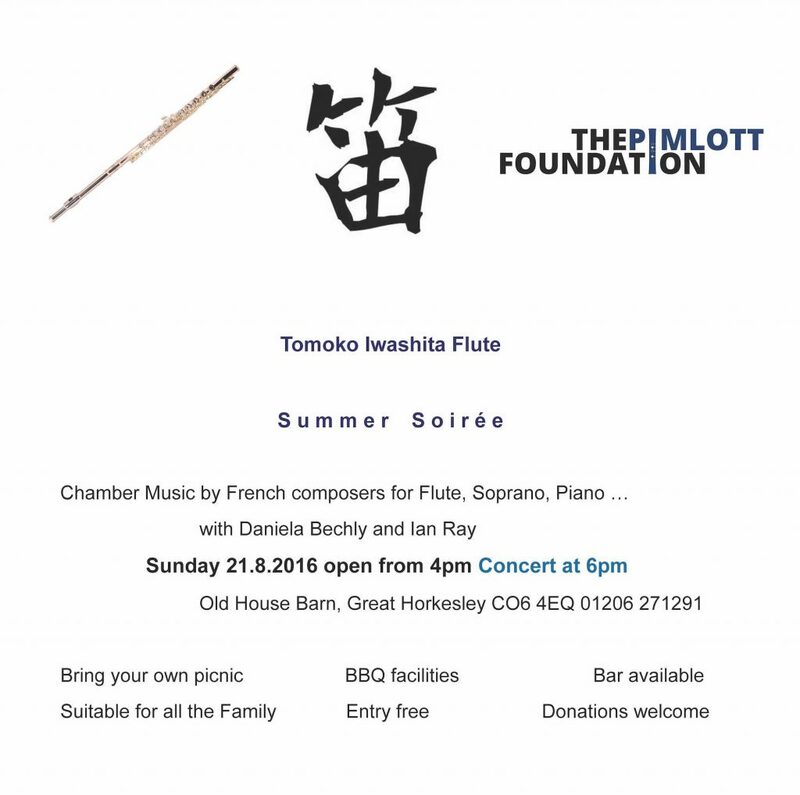 Come and join us for a summer afternoon of picnicking in the beautiful gardens of Old House followed by a concert in the barn. Suitable for all the family. Gardens open at 4pm for picnic, BBQ facilities available. Concert 6pm. Free entry, donations are welcome, suitable for all the family.